So I went ahead and ordered theretrofitsource e46 kit and much to my dismay and their directions it is not a plug and play kit that is easy. I think I am going to return it because I am in over my head. But now I have my drivers side headlight compeltely dissasembled and don't know what to do. I am hoping y'all have some suggestions. Ugh I was hoping to have my car back on the road soon but looks like it will be another week. What are you having trouble with? I believe the minimum modification work is dremeling. I don't know why but my projector housing is missing one of the things to screw into so the retro fit bracket will only have 3 mounting points. The rubber things stick out, the guy at the retro fit store said these might need to be filled down to be flush, I don't know if I need to do that? If so how can I do it? Next I don't know how to do the wiring since the plugs are different size, these directions do not talk about this at all. I am guessing the OEM plug is to activate the high beams. Three should still be sufficient to mount the projector. You may have to use a Dremel to cut into them to make them sit flush. I'm not sure if it's calling for you to cut the plastic ears around the grommets as well. I would recommending contacting TRS support to get some guidance from them (assuming you purchased from them). Yes, the green/red wire connector on the factory harness is for the shutter solenoid that activates the high beam shutter. Does the small black connector in the kit fit the factory harness connector? If so, I imagine those go together, then the large black connector gets connected with the high beam wiring harness outside the housing. That's my best guess based on the pictures you provided. Once again, I would get guidance from TRS on this if you're not sure. So I found a guide on here that is very detailed and it looks like it requires a lot more dremel work than I would like to do. 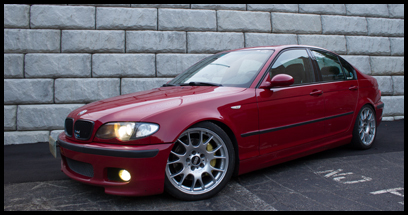 I am going to just reassmble my OEM lights and do more research about these kits. If I knew it was going to be so much dremel work I would have just ordered one of the kits off ebay for half the price its the same amount of work. I strongly advise against ordering from theretrofitsource if your looking for an easy install. I don't know where you are in Florida, but it looks like they have some installers there. sorry i am chiming in late here, crazy weekend (ice storm here), but BP answered thoroughly. which kit did you order? we should start there. i have had their EvoX-R 'RetroQuik' kit installed for 4 years now, and the install was easy and their instructions were good. i was actually impressed with their customer service and really, the whole ordeal. so which kit did you order? I have to admit, I was a little nervous about having to do this work myself. So i decided to pick up a pair of AL headlights instead. I have them still in the boxes from the seller. I want to get new covers, gaskets and then put in my gold V2s that have been sitting around for a while. Now I'm thinking of picking up the ZKW-r lenses since they're not on the car yet. It'll be easier to take everything apart and take my time with it since i still have my ZKWs in.